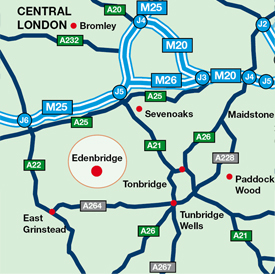 Eden House tenants enjoy the use of our fully fitted kitchenette, providing a dedicated dining area featuring a microwave oven, three fridges, hot and chilled filtered water 'on tap', storage lockers and all the usual facilities. 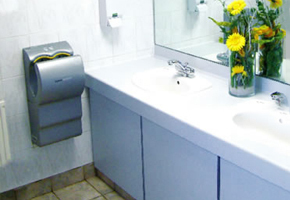 The fully tiled washrooms are maintained to high standards on a daily basis and feature the latest high-tech hygienic Dyson hand dryers. Eden house provides full disabled access and toilet facilities and a passenger lift for easy access to all three floors. We have plenty of dedicated car parking on site. 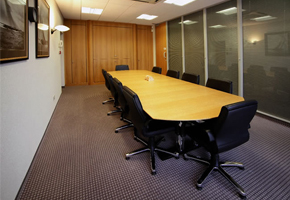 The state of the art conference suite is fully equipped with air-conditioning, adjustable lighting systems, executive furniture and a full range of presentation tools, including audio-visual equipment - overhead LCD projector and screen, whiteboards, etc. We have a 50kW system on site that generates a significant quantity of our electrical requirements. Please click here to see a copy of our ‘A’ Grade Energy Performance Certificate.